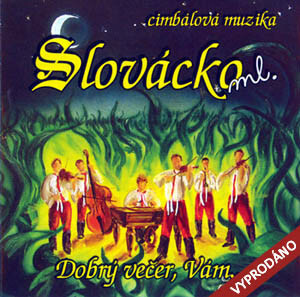 Dulcimer music „Slovácko junior” (Cimbálová muzika Slovácko mladší) was founded in August 2000 in Mikulčice. Mikulčice is the village where lived and worked folk songs composer – František Hřebačka, better known as Fanoš Mikulecký. The chosen “Slovácko junior” was not a random. We would like to continue and spread the tradition that in our community successfully developed legendary folk music “Slovácko” led by bandleader Přemysl Líčeník since 1 March 1965, to preserve the beauty of folk songs for future generations. You may listen to our music as well as dance to it. We would like to fulfil your musical expectations. If you are interested, we can also perform together with traditionally dressed dancing couples; put together a composed concert or organise a performance in conjunction with the legendary singer Jožka Šmukař. We can also manage a music production for most occasions, such as weddings, birthday and christening parties, family celebrations, and important anniversaries. We offer a singing with dulcimer band and traditional folk performances within the country and abroad. Naše cimbálová muzika vydala své první album s názvem “Dobrý večer, Vám” V roce 2005. Na tomto CD se můžete zaposlouchat do písní smutných i veselých, tak i do několika orchestrálních skladeb. Jsme přesvědčeni, že tato nahrávka mnohé z Vás potěší a vyvolá vzpomínku na “malovaný kraj” Podluží a jeho mladé muzikanty, kteří díky svému nadání uchovávají všechnu tuto krásu i pro další generace. Nahrávka “Okolo Mutěnic” je výsledkem spolupráce naší cimbálové muziky s mužským pěveckým sborem z Mutěnic, se kterým úzce spolupracujeme již od roku 2001, kdy byl sbor založen. Těžiště repertoáru sboru tvoří především lidové písně z Podluží a jejich úpravy, které zajišťuje umělecký vedoucí sboru Mgr. Josef Ilčík. Vydáno v roce 2006. 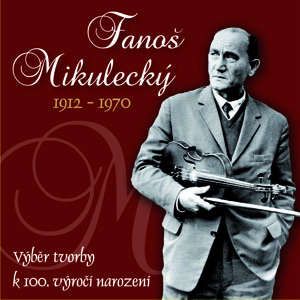 František Hřebačka, known as Fanoš Mikulecký, was born on 28 July 1912 in the picturesque village Mikulčice in Southern Moravia, near Hodonín. In his early childhood he loved painting, but he loved music as well. His first musical instrument was small dulcimer, which he got from his father when he was 6 years old. Two years later he started playing the accordion, then the violin, mandolin, guitar, zither and piano. He studied to be a decorative room painter, but because of death of his parents he couldn’t continue studying at the Academy of Arts. When he was about 18-19 years old he wrote his first song “V tej našej zahrádce šohajek stál”. He composed almost 270 songs, most of them became popular. Most of these songs are love songs and they are affect by Fanos Mikulecky life experiences and twists. His last song “Keď sem išel řpes dědinu” is from 1970. He is also the author of short scenes and operas “Cesta zarubaná”, Prechovský buřič” a “Orfanus”. The opera “Cesta zarubaná” which is the most played – almost 148 repeats, is dramatic series of folk songs arranged to form a story line. This opera is often designated as a masterpiece of Fanoš Mikulecký. In 1937 Fanoš Mikulecký set up Slovácký krúžek in Mikulčice. He was a manager and also the first violinist of accompanying dulcimer band for many years. In 1946 he initiated the origin of regional magazine “Malovaný kraj” in which he published his methodical instructions, short stories and ethnographic reports. Fanoš Mikulecký was not only a co-founder, but also the main editor of “Malovaný kraj” magazine. In 1969 he also recovered it. By constructive and creative way of his life, Fanoš Mikulecký organized cultural life in Podluží. At the beginning, he signed his work by various pseudonyms. The main reason for this was probably his modesty. He didn’t want to be very visible among people in the village. Fanoš Mikulecký didn’t want people like his song because they know him or to please him, he wanted them to like his song for themselves. Shortly before his death Fanoš Mikulecký started writing his forth opera “Dědictví”. Because of his poor state of health it’s unfinished. 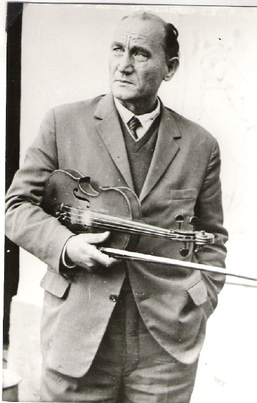 Fanoš Mikulecký died March 23, 1970 in hospital in Hodonín for liver disease. The most famous songs written by Fanoš Mikulecký are “Mikulecká dědina”, “V širémpoli studánečka”, “Vínečko bíle”, “Mikulecké pole”, “Smutný večer” and many others. In 1981 there was filmed the movie “Opera ve vinici” which is based on the life story of Fanoš Mikulecký, mainly on his songs. It is a ballad story telling about South Moravian folklore, about conflict and differences between present urban life and rural culture and especially about the roots of human creativity. (Movie is directed by Jaromil Jireš, screenplay was written by Vladimír Merta, Fanoš Mikulecký is played by Josef Kemr).